For a class of 30. Students cross the wild-type Sordaria strain with the mutant tan strain. Hybrid asci are produced containing 4 dark- and 4 light-colored ascospores. Students then use tetrad analysis to calculate the gene to centromere distance in map units for the mutant tan gene. The exercise requires about 10 to 14 days from setup of cross plates to completion. 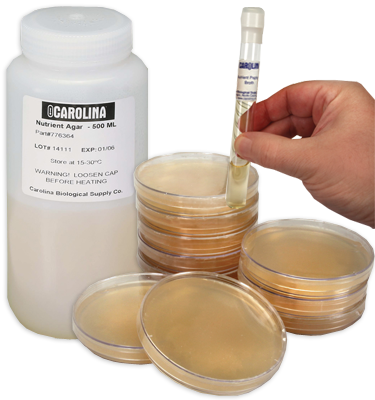 Note: Keep fungi cultures at room temperature; do not incubate or refrigerate. This kit includes a prepaid coupon to request perishable materials later at your convenience. Contact us or return the coupon to request delivery of perishable materials.